Description: A free customizable clinic plan bubble diagram template is provided to download and print. 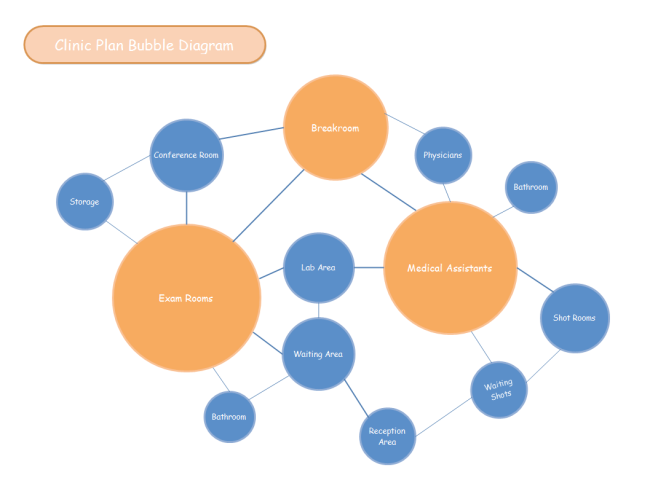 Quickly get a head-start when creating your own clinic plan bubble diagram. Edraw is an excellent diagramming tool allowing for hundreds of diagram designs. Various business diagram templates on this sharing community are available to download and customize, including pyramid chart, pest chart, fishbone, value stream, business forms and bubble diagrams etc. Upload your own great works with others and enjoy the resources together.